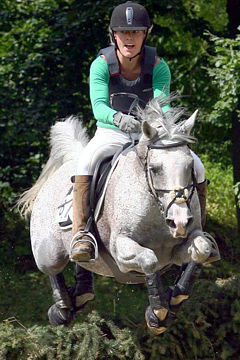 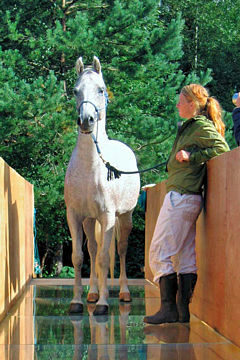 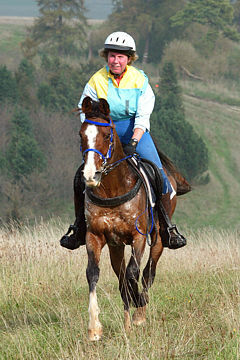 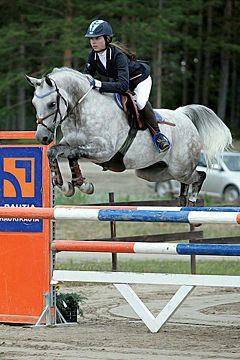 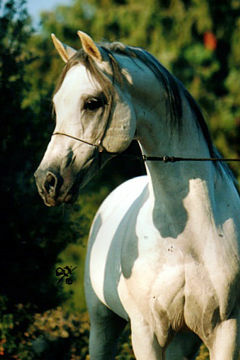 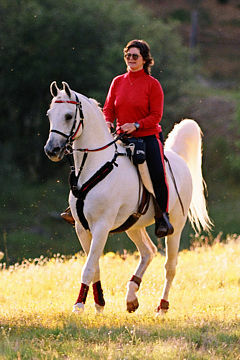 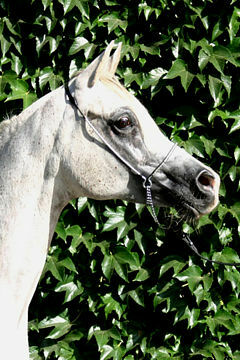 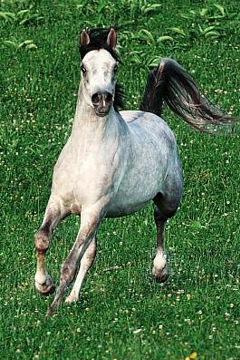 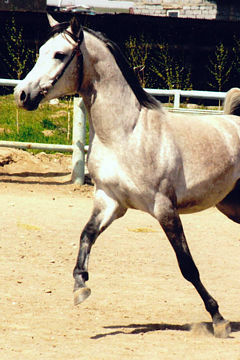 BINT MONTASIR RAHIM, Grey Mare, *1998 (Montasir / AF Bint Maamouna). 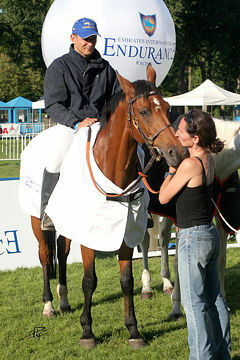 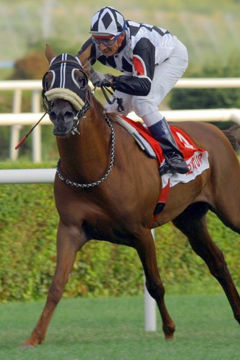 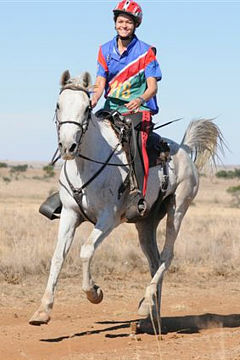 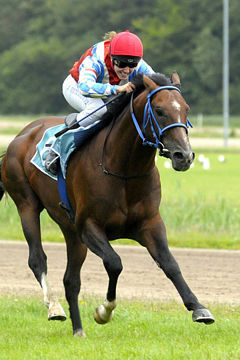 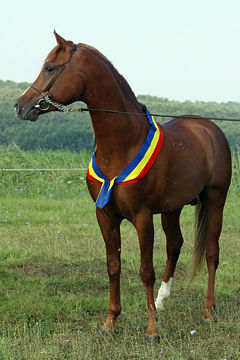 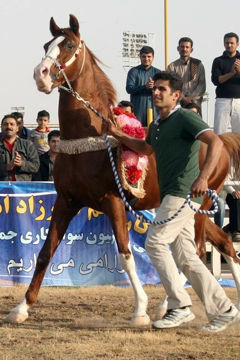 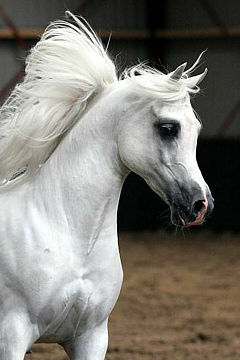 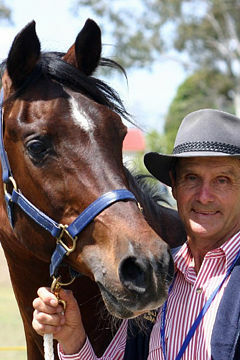 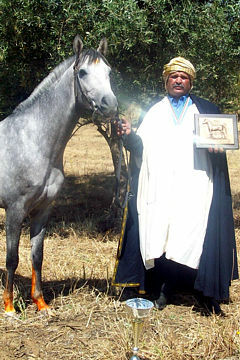 Breeder: Dr. Aly Abdel Rahim, Rahim Stud. 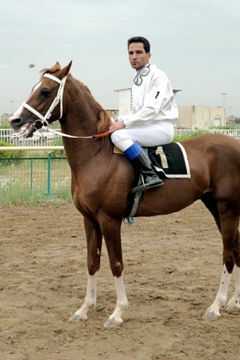 Owner: Mr. Abdel Mohsen El Gabry, El Gabry Stud. 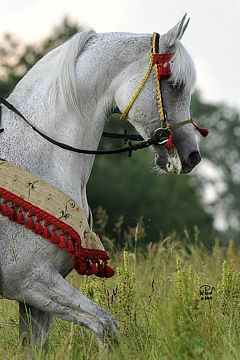 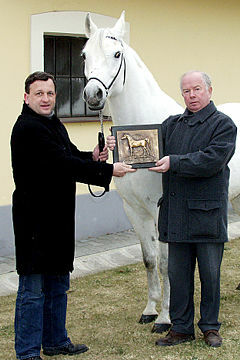 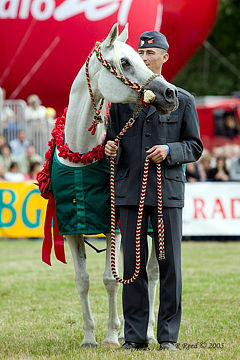 The Egyptian Agricultural Organization was pleased to award the 2005 WAHO Trophy to the beautiful grey mare, Bint Montasir Rahim. 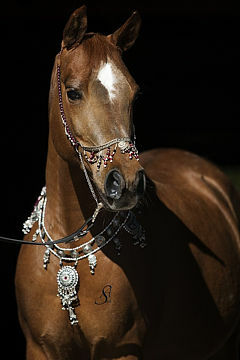 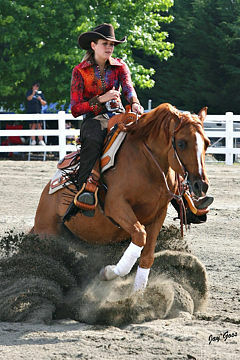 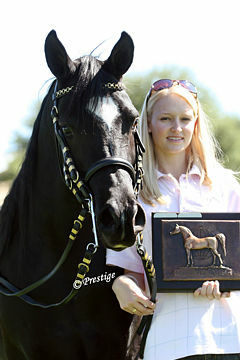 She won the “Most Classical Head” title during the 8th International Championships held at El Zahraa Stud on 19-20th November, 2005. 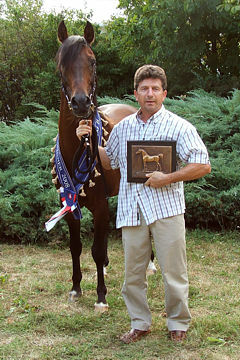 The award was presented by Dr. Ibrahim Zaghloul and Mr. 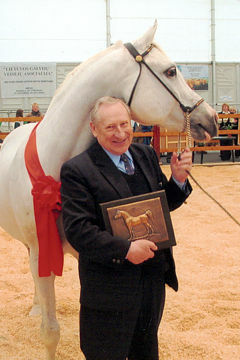 Basil Jadaan, both WAHO Executive Committee Members. 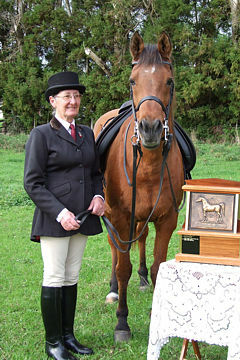 Bint Montasir Rahim is presented with her 2005 WAHO Trophy. 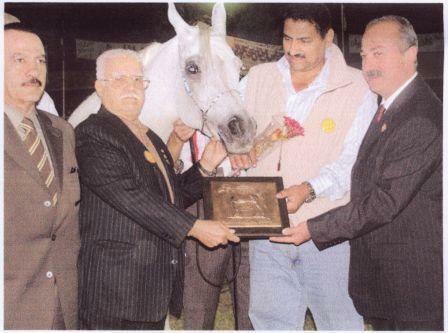 L to R: Dr. Helmy El Seddawy, (EAO); Dr. Ibrahim Zaghloul (WAHO); Mr. Abdel Mohsen El Gabry (owner) & Mr. 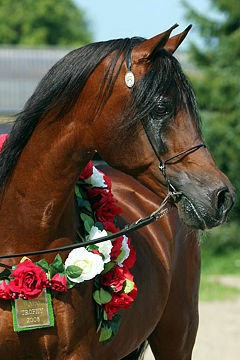 Basil Jadaan (WAHO).